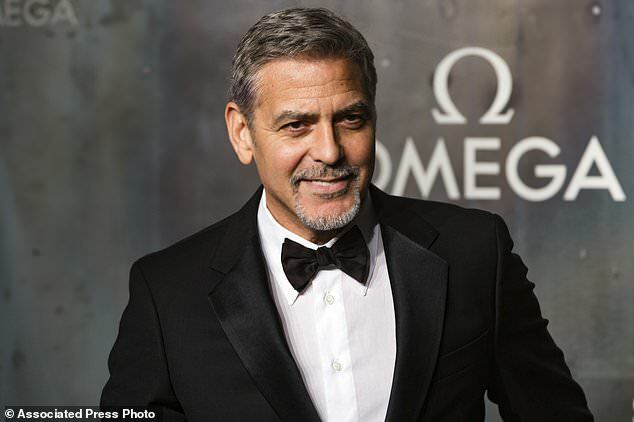 NEW YORK (AP) - Most things have changed in George Clooney's life since he and wife Amal welcomed twins in July. But as he prepares to unveil his latest directorial effort, "Suburbicon," some rituals remain eerily familiar. "It becomes increasingly clear how in over his head and incapable this man is of being president of the United States," said Clooney. "The good news is that our other institutions - meaning press, finally, and judges and senators - have proven that the country works. There is a check and balance." "I'm in an interesting place in my life. I'm acting almost never - for a lot of reasons, mostly because I don't have any great interest in it and haven't read anything (good enough)," he says. "If somebody showed up with 'The Verdict,' I'd jump but it's not all that often you get 'Michael Clayton' kind of scripts. And if you're not going to get those, there's no real point at this point in my career." "They still let me do what I want to do," Clooney adds. "As long as that's the case, then I'm going to keep doing it. For me, you've got to keep pushing the envelope until they take everything away - which they eventually do with everybody." Well, there you have it folks. Confirmation that acting is off the table unless something spectacular comes along - which he doesn't expect to happen. Maybe he'll do some voice overs in kids films for the twins sake (Like :Fantastic Mr. Fox"). 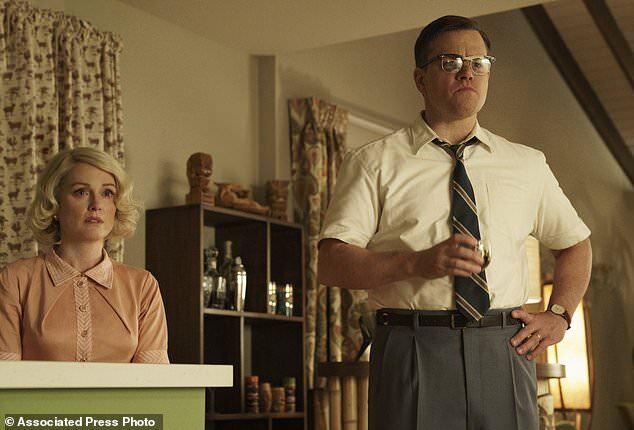 "Suburbicon" is beginning to sound like a bloodbath - more Tarantino than Coen brothers. I really hope the message is subtle and it doesn't end up being as predictable as IOM turned out to be. seeing a film that is reflecting the mood of the country right now. I know that I will. But many people like escapism when they go to the theater. I love movies that delve into the human condition. I always enjoy George tackling more serious issues. I think that's where his talent lies. And he's right. There aren't many films out there like 'Michael Clayton' and 'The Verdict' which were great character studies. Few and far between. So I think George is smart to wait it out for something special to come along that suits him. 'Suburbicon' does look violent. I'm hoping that's not what the audience takes away from this film. With the driving theme of the last election being 'make America great again' it will be interesting to see how George portrays this time period of the 50s ... which is still seen by many as the era of the American Dream. LizzyNY wrote: Well, there you have it folks. Confirmation that acting is off the table unless something spectacular comes along - which he doesn't expect to happen. Maybe he'll do some voice overs in kids films for the twins sake (Like :Fantastic Mr. Fox"). What did you predict Lizzy?Nobody could really predict a Coens script. Suburbicon is not a bloodbath. It's rated for R but not for extreme or disturbing violence like the Tarantino ones. Expect to see less than 8 or 10 deaths during the whole film. One of the highlights this year is Clooney's return to Venice with "Suburbicon", a dark comedy starring Damon and Julianne Moore. Clooney, who tied the knot in a huge celebrity wedding in Venice in 2014, has since made Italy his second home. "Venice loves Clooney, Clooney loves Venice ... Jennifer Lawrence is obviously a huge fashion icon, she makes a presence wherever she goes, but I don’t think anybody commands a room like Clooney does in Venice," Anderson said. Whether all of these films will resonate any differently in 2017 than they might have another year remains to be seen. 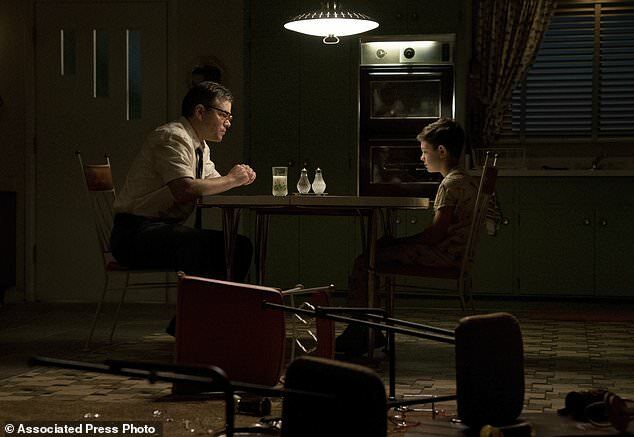 George Clooney's "Suburbicon" (Oct. 27), which he directed from a script by Joel and Ethan Coen, is about a bucolic 1950s suburb with a violent and racist underbelly. 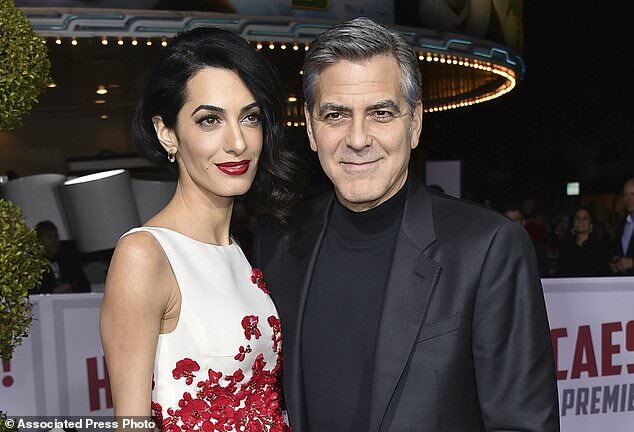 Clooney, who recently announced a grant of $1 million with his wife Amal to combat hate groups in the wake of Charlottesville, says the film is about out-of-control white-male paranoia. "Trump got elected while we were shooting it," said Clooney. "A bunch of crew members came up to me and said, 'It's too bad it's not coming out today.' And I said, 'Unfortunately these issues never get old.' So, yes, it's timely, but unfortunately it's always timely."